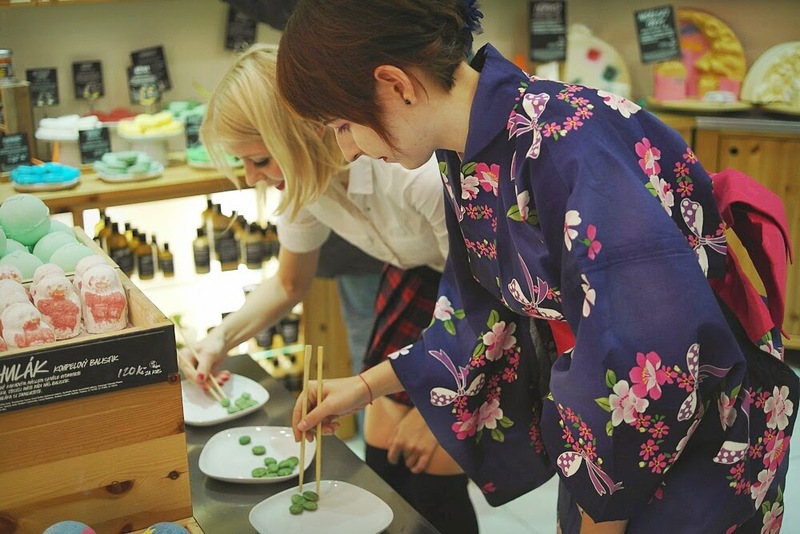 If you have ever been so lucky and gotten the opportunity to work for Lush, you will agree when I say: This is a dream job! For people who like to talk to people, know something about cosmetics and love great smells at the same time, this job feels like heaven! 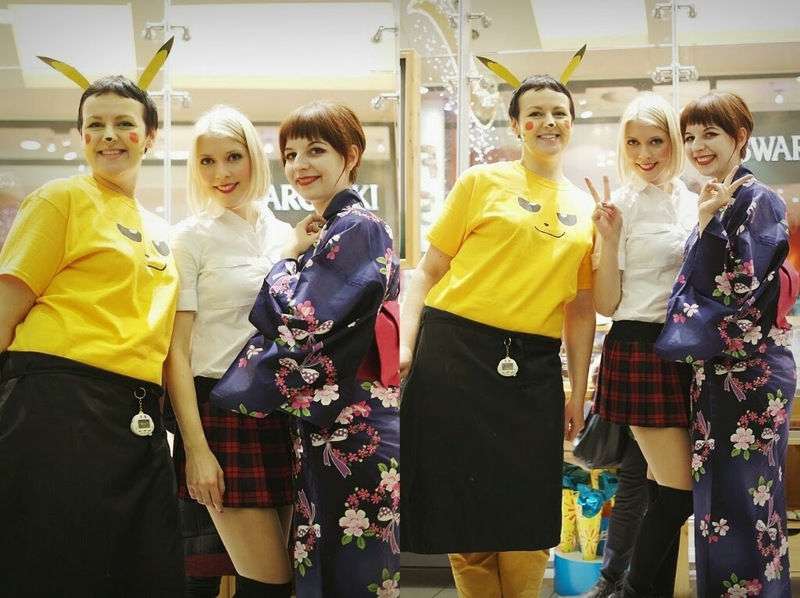 Back in my hometown, my Lush colleagues were the best! Energetic ladies with smiley faces, always up for anything! We often had days for our valued customers when we dressed up for a special occasion. 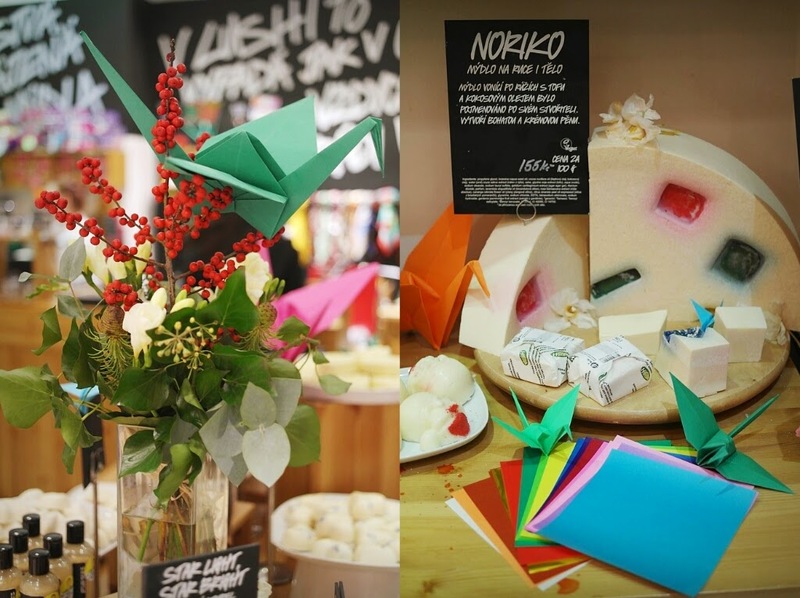 These pictures were taken on one of the special events: Japanese Party and presenting our new Noriko soap! 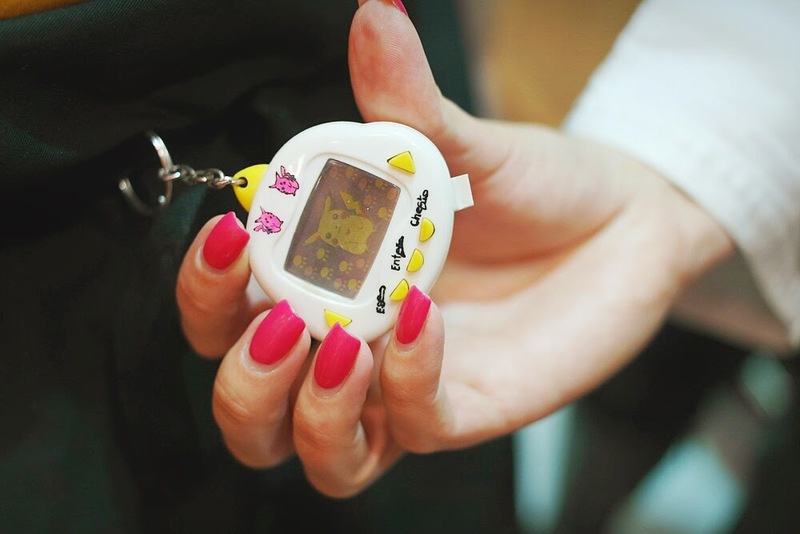 Our customers could try games such as tamagotchi, catching wasabi pieces with chopsticks etc.